Introducing the 2nd Story study guide! We are bringing our world-class podcast into the classroom by creating dynamic study guides and lesson plans to accompany our socially relevant stories. Listen to the story with your students and then use the study guide (aligned to Illinois High School Learning Standards--though many of the activities can be used for younger or older learners!) and a host of activities to engage around the topic of the story. This season, we have published two study guides in conversation with stories performed with 2nd Story. You can access both guides and access additional resources below. Saving Mo, Saving Me, by Connie Shirakawa, below. 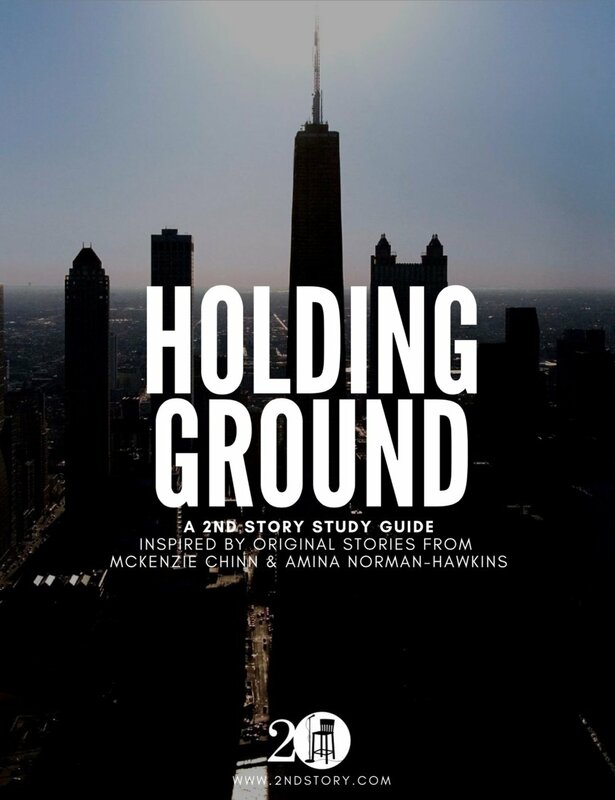 Thank you for your interest in 2nd Story’s study guide, Holding Ground, inspired by stories from McKenzie Chinn & Amina Nomran-Hawkins. Download the Study Guide here! Thank you for bringing us into your classroom! 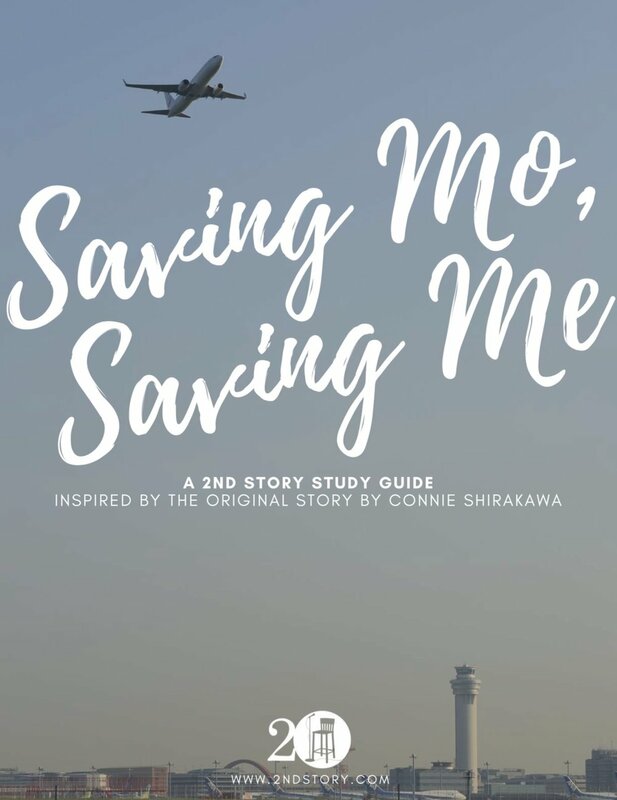 Thank you for your interest in 2nd Story’s first-ever In the Classroom study guide, Saving Mo, Saving Me by Connie Shirakawa. Curious City: What Happened to Chicago’s Japanese Neighborhood? Reading Standard 5: Analyze how an author’s choices concerning how to structure a text, order events within it (e.g., parallel plots), and manipulate time (e.g., pacing, flashbacks) create such effects as mystery, tension, or surprise. Writing Standard 3: Write narratives to develop real or imagined experiences or events using effective technique, well-chosen details, and well-structured event sequences. Speaking and Listening Standard 1: Prepare for and participate effectively in a range of conversations and collaborations with diverse partners, building on others’ ideas and expressing their own clearly and persuasively. SS.CV.1.9-12: Distinguish the rights, roles, powers, and responsibilities of individuals and institutions in the political system. SS.CV.2.9-12: Evaluate the opportunities and limitations of participation in elections, voting, and electoral process. Are you an individual or business committed to providing high-quality arts access to students across Chicago? Support 2nd Story's Education Programming by making a tax-deductible gift today! Please email 2nd Story's Managing Director Lauren Sivak at lauren@2ndstory.com.